Dining Zoo is an awesome restaurant based game that takes place in a world where somehow every single person has been transformed into an animal. The game has a unique setting, top quality gameplay and top of the line visuals so, once you get into it, it’s highly unlikely that you’ll want to let go because of how enjoyable the overall experience is. One really impressive thing about Dining Zoo is the fact that the game starts off with an incredibly in-depth tutorial sequence that has been built specifically to teach players the basics of the game. The tutorial is step by step so it’s quite easy to follow and, by the time you’ve done every single task it assigns you, you’ll have a firm understanding of how the game works and will be able to progress through it on your own without any issues. 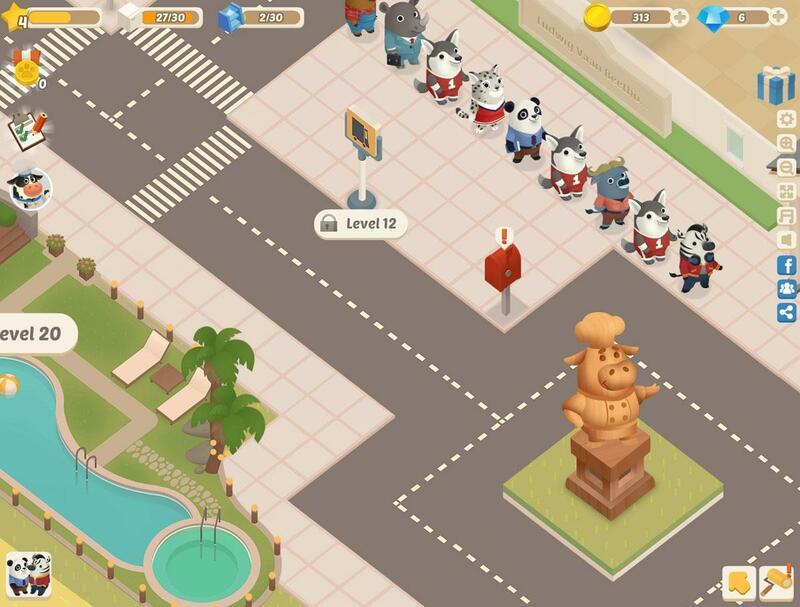 The gameplay of Dining Zoo is a mix of time management and restaurant management. 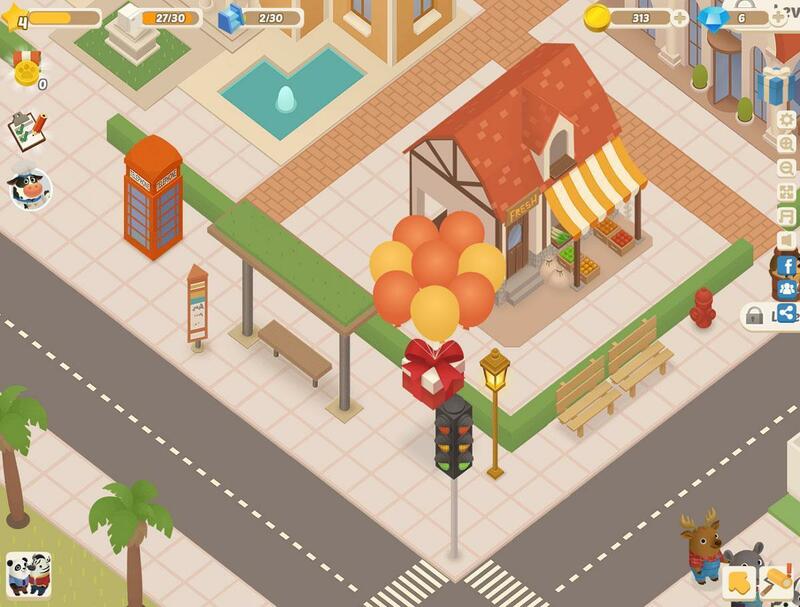 The game revolves around building up a restaurant and serving all the animal customers that come to it. We want to point out that this is definitely among the most challenging games of its kind because, for some reason, your restaurant will always remain crowded with customers and, on top of this, there will be a line of customers in the waiting area. Due to this insane amount of customers, you’ll have to make sure that you’re always playing quickly and efficiently because you cannot spare even a single second as that might just mean the difference between a happy or angry customer. In terms of variety, Dining Zoo is quite impressive. 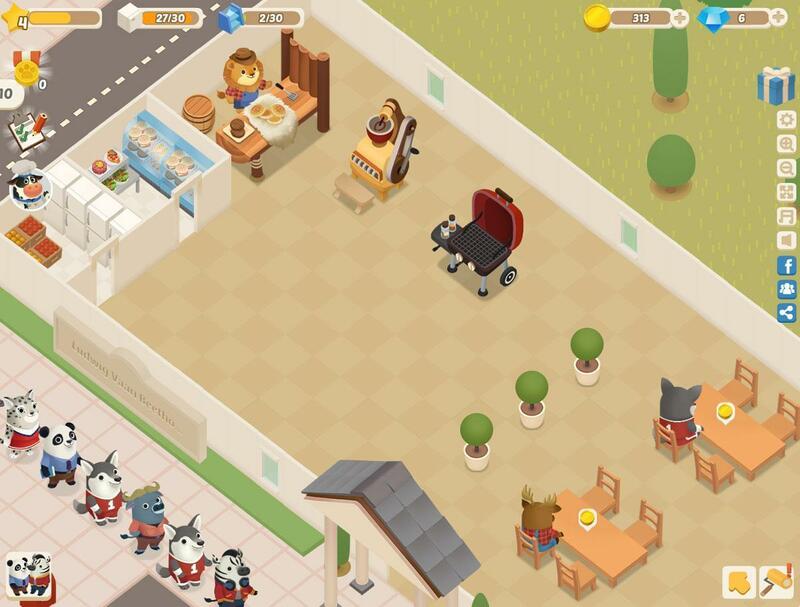 The game has tons of different ways through which players can build up their restaurant, there are multitudes of different dishes for players to cook and serve their customers and, alongside this, there are lots of unique machines that players can purchase to speed up productivity at their restaurant. The game’s variety is great because it makes sure that the gameplay will always remain fresh and interesting. Dining Zoo also features an engaging task system that has been designed for the sole purpose of making sure that players never feel idle. The task system will keep giving you things to do and, on top of this, it’ll even give you generous rewards whenever you complete the tasks that it assigns. Onto the visuals, Dining Zoo is straight up spectacular. The game features a bright and vibrant color palette, the animals are cute and cuddly, the in-game textures have an insane level of detail, the user-interface is sleek and, overall, every single visual element is absolutely top notch. Dining Zoo is free to play but it does have its fair share of micro-transactions through which you’ll be able to purchase in-game content with real world money. All said and done, Dining Zoo is an awesome game that features a unique setting and does an excellent job of bringing together the elements of restaurant and time management games.